Been posting lots of pics of the new rescue pit bull lately. But Mr. Sam was here first. 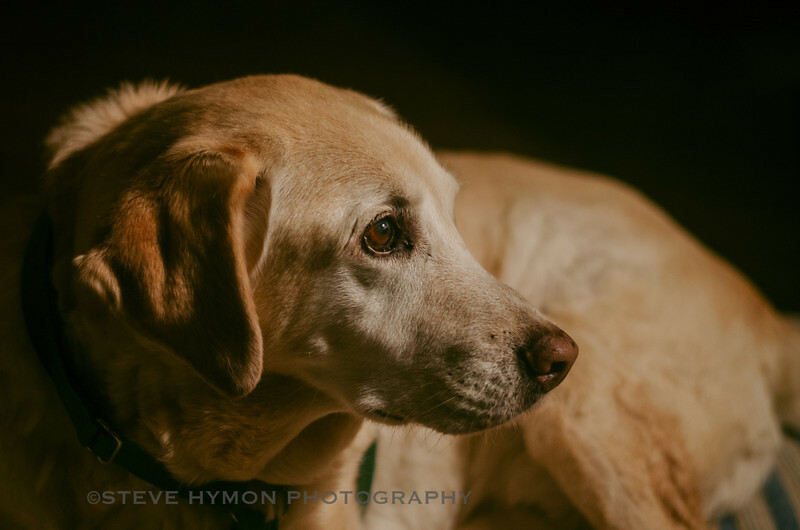 Took this one of our 15-year-old yellow lab last night using only a lamp in the living room as a light source. Camera: Nikon D5100. Lens: Nikon 50mm 1.8. I cranked the ISO to 800, f/1.8 and 1/30th second shutter speed. I hand held the camera and shot in RAW. Check out my SmugMug site for more of my work, prints and licensing info. To save 20 percent on the cost of a SmugMug account, please click here. SmugMug lets you customize your page and sell prints and licenses -- unlike, for example, Flickr.